I will now talk about the third smart-device application, following Miitomo and Super Mario Run, that Nintendo will release, Fire Emblem Heroes. 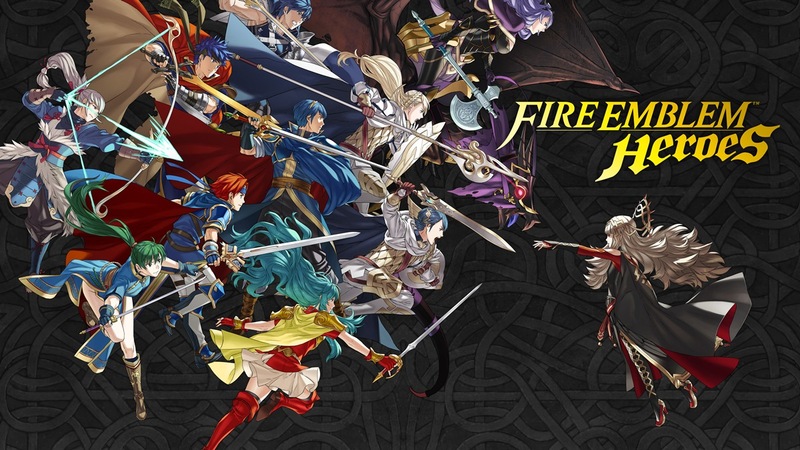 Distribution for both the iOS and Android versions of Fire Emblem Heroes will begin tomorrow, February 2, in 39 countries worldwide. The Fire Emblem series is a franchise that is supported enthusiastically by fans in their 20s and 30s in particular. The series has become especially popular overseas since the titles on the Nintendo 3DS. First, I would like to once again state Nintendo’s three main goals for our smart-device business. We would like to utilize smart devices as a platform to reach the maximum number of consumers with our IP. It is a prerequisite that the smart-device business be profitable on its own. We also aim to generate synergy with our dedicated video game systems business to maximize the potential of Nintendo’s overall business strategies. I have also shared in the past that we strive to ensure that each title we release for smart devices provides a high-quality game experience that is optimized for smart devices. Following these principles, we released a new type of Mario game that you can play with one hand, Super Mario Run. It launched on iPhone and iPad in December. This release was not limited to the countries and regions in which we have offered products and services through our dedicated video game system business, and it reached a wide range of consumers worldwide. 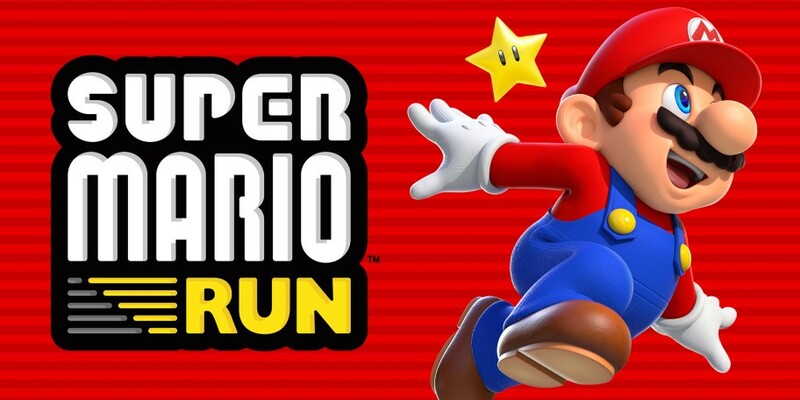 As we shared through a previous press release, in its first four days Super Mario Run was downloaded more than 40 million times, a record speed for the App Store. Since then, downloads have maintained a strong pace, and as of today the application has reached 78 million downloads. 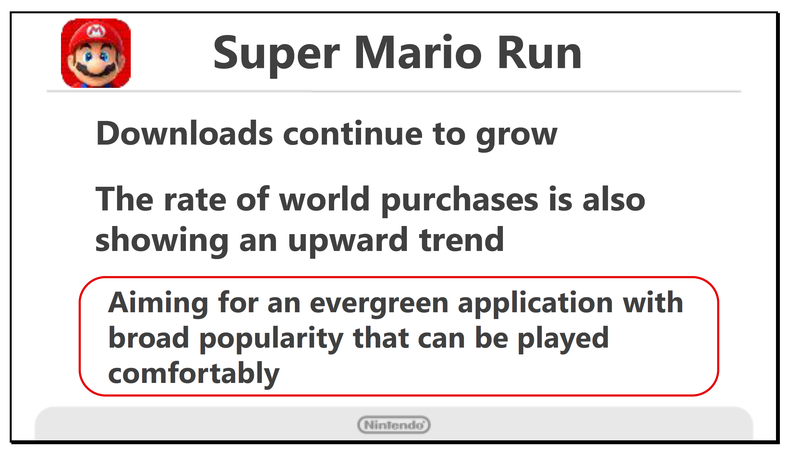 Super Mario Run never allowed for true Family Sharing similar to other downloads on iOS. However, players did find a useful workaround last month. 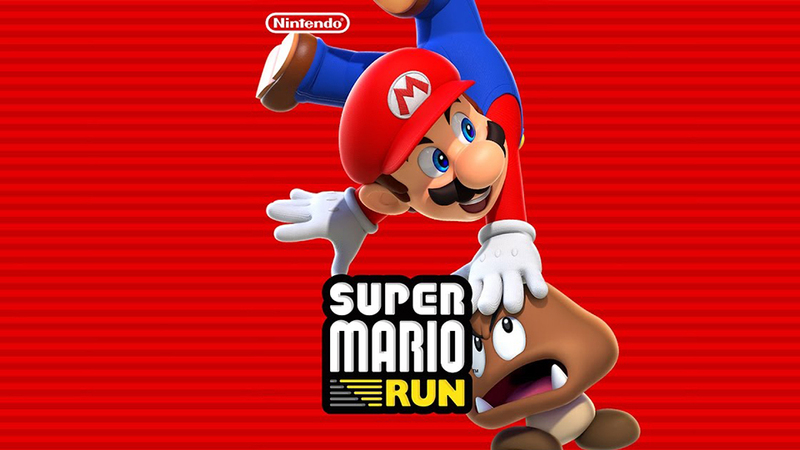 With the latest Super Mario Run update, however, it’s been entirely disabled. Super Mario Run is now entirely downloaded to the device where it originated from. Unfortunately, that means it can’t be shared with family (or anyone else). Several new Fire Emblem Heroes previews popped up today. The Verge, GamesBeat, IGN, Polygon, and GameXplain each had impressions with new details. NeoGAF’s Nirolak was kind enough to round up all of the information. Read the full summary below. While a few of the tidbits were covered in a post earlier today, we’re including them here as well to have one all-encompassing post. 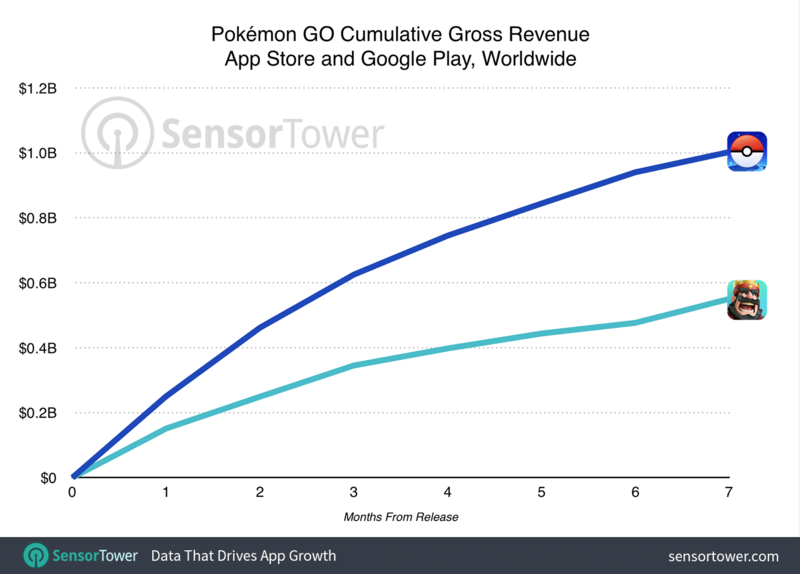 Pokemon GO has surpassed $1 billion in worldwide gross revenue on the App Store and Google Play, Sensor Tower reports. It has become the fastest mobile game to reach the milstone. Clash Royale is the next closest game to hit $1 billion in revenue. While Pokemon GO reached that mark in about seven months, Clash Royale generated approximately $550 million worldwide in the same timeframe. 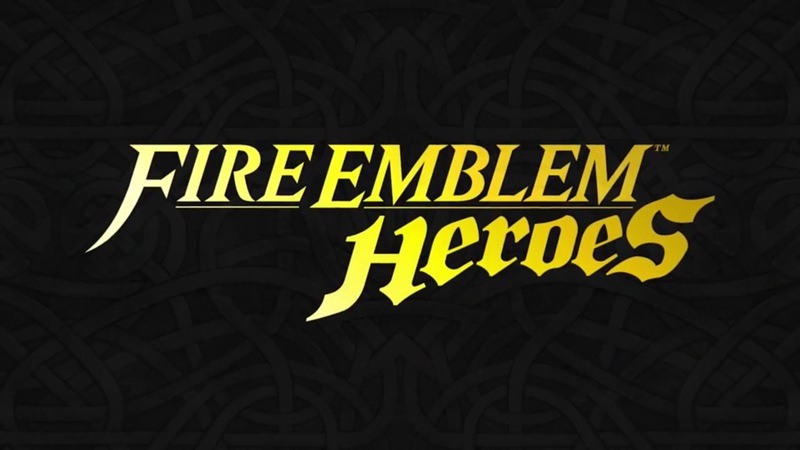 Are you wondering who the main developer is behind Fire Emblem Heroes? Well, it’s none other than Intelligent Systems. IGN reports on the news and also shares the the team is receiving assistance from Nintendo and DeNA. 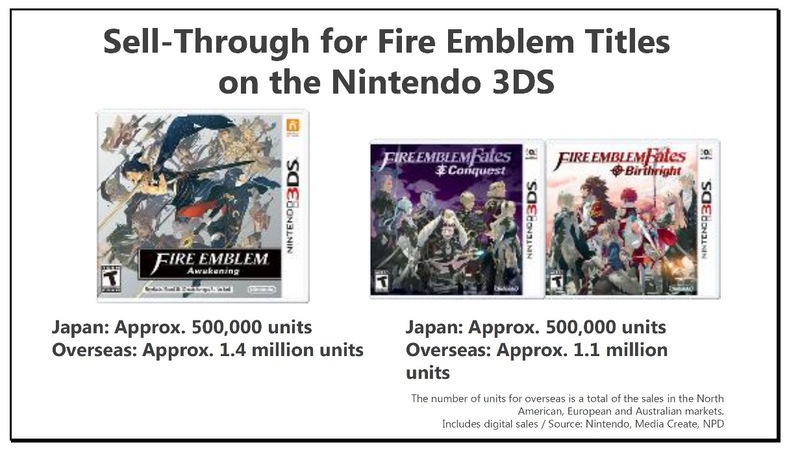 Intelligent Systems might be a mobile game, but the franchise is still sticking with Fire Emblem’s primary developer. Fans can rest easy knowing that it’s in good hands. The Japanese Fire Emblem Heroes Twitter account put up a brief series of questions and answers about the mobile game a few hours ago. Serenes Forest member VincentASM has now translated everything fully. During the Q&A session, Nintendo hinted at a support conversation / marriage system to come. A log-in bonus is confirmed as well. Continue on below for the full Q&A. 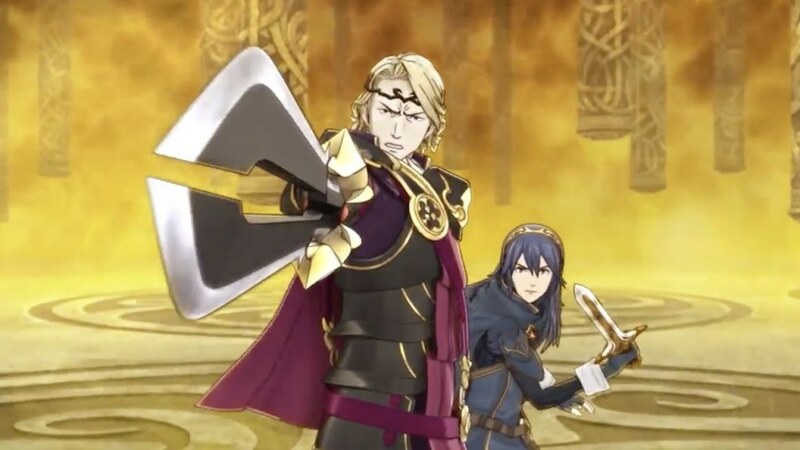 Fire Emblem Heroes will operate somewhat similarly to Super Mario Run in that an internet connection is required online. The Verge also obtained a statement from Nintendo confirming that it “connects to servers intermittently”. “However, the game connects to servers intermittently, and the amount of data used is within the normal range you could expect for smart device games,” Nintendo says. 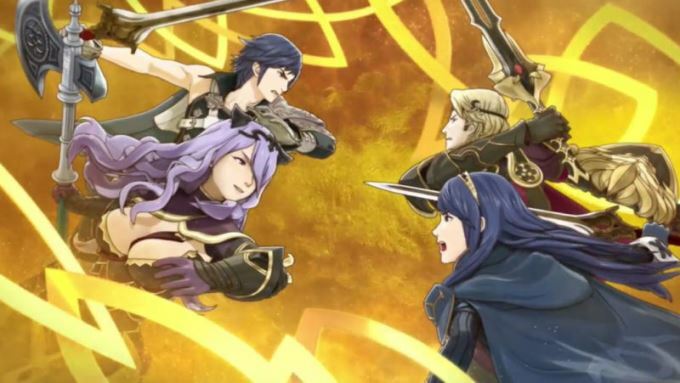 Fire Emblem Heroes officially launches on February 2. 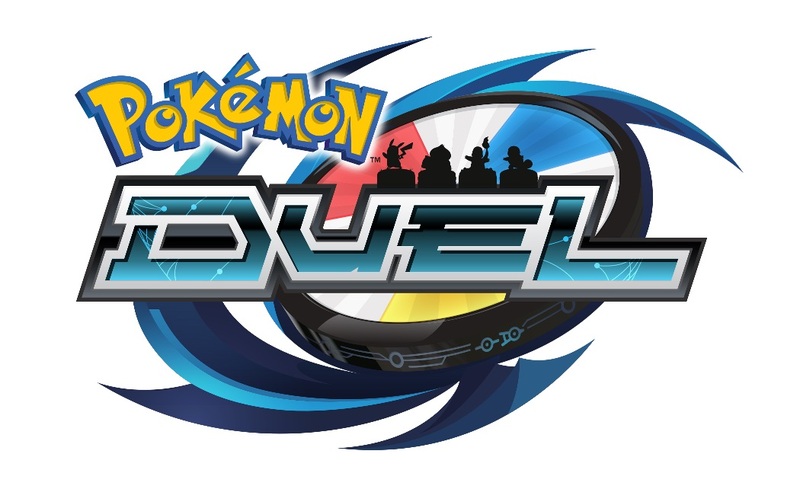 10 new Pokemon were added to Boosters in Pokemon Duel today. You can now get UC rarity Poliwhirl, Tentacool, Golbat, Exeggutor and Arbok, R rarity Wigglytuff and Onix and EX rarity Articuno, Moltres and Zapdos.